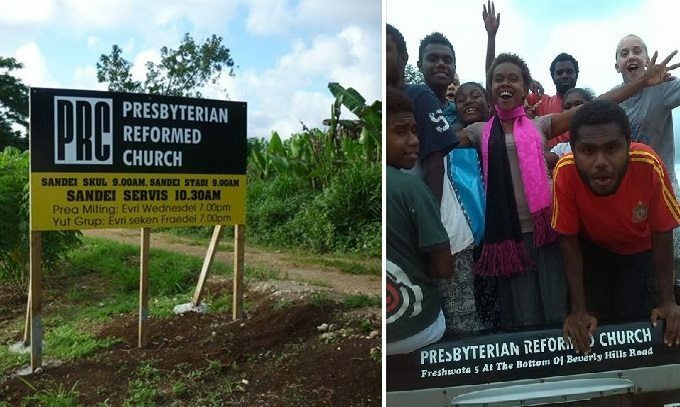 The Presbyterian Reformed Church (PRC) mission work in Vanuatu was established in the early 1970s when two families from Australia were sent by the PRC of Australia (PRCA) as missionaries to North West Malekula. Their task was to learn the language, to preach the Word, to establish an indigenous church and to translate the Scriptures into the local language (Big Nambas). 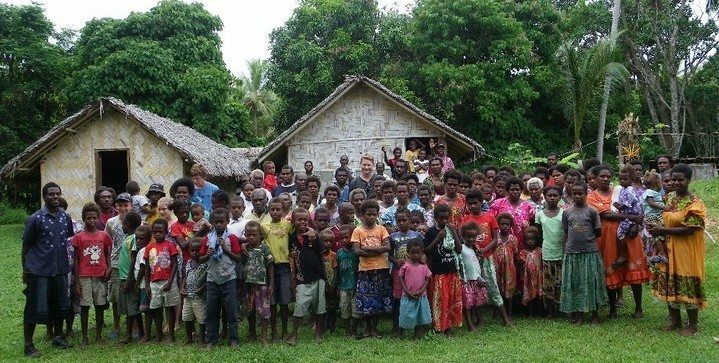 God has been very gracious in growing the church in Brenwei, NW Malekula – today the church has more than 60 members, local elders and is led by Pastor Isul Lunabek. In 1983, the PRC commenced an outreach to the island of Tanna. The first missionary, Kilet Itei came from the church in Malekula. Three years later Tom Kout of Tanna continued the work of caring for the church. Several other men from Malekula have assisted Tom in his work over the years. The congregation in Tanna has a stable membership. The PRC has also had a long history in Port Vila. In the late 1970’s the church sought to establish a church on the Island of Ifira (off the coast of Port Vila) but Island politics prevented this; instead we were allowed to live, worship and translate on the island of Iririki, a short boat ride away from Ifira. Australian missionaries were based on Iririki and sought to establish a church there, but with limited success. However, an encouragement was the completion of the Ifira New Testament. Unfortunately, there was a limited response to the gospel from the Ifira people, and in the mid 1990’s the work on Iririki ceased. A fresh work in Port Vila was established in 2010, but this time on the Efate mainland, in the area of Freswota 5. This was at the behest of the Vanuatu PRC, who saw a desperate need for a congregation in the capital, whose population had ballooned due to urban drift and the lack of services, employment and schooling in the outer islands. This was, a joint work between PRCV and PRCA. 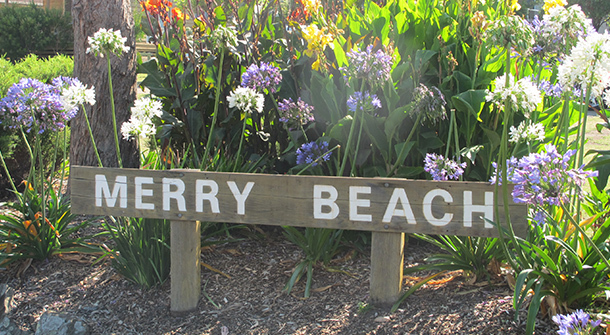 We are now working in partnership with the Reformed Churches of New Zealand (RCNZ) who have volunteered a missionary, Pieter Van Der Wel, to assist the local indigenous elder in the ongoing work.